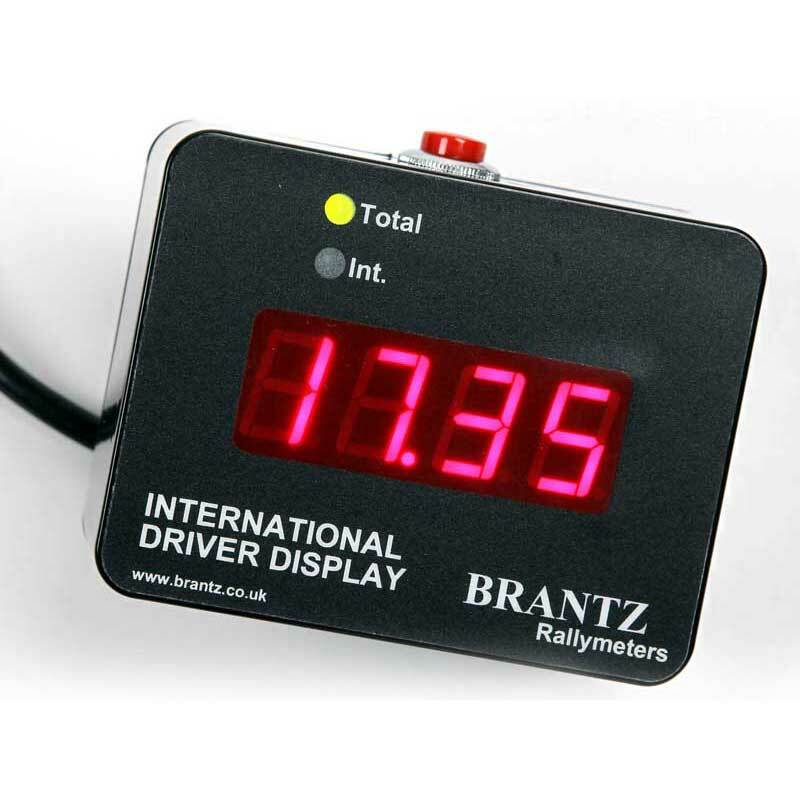 This interface is intended for use in conjunction with the Brantz Universal Wheel Sensor (BR2A) when the pulse rate is too high for the calibration push-wheel digits on the meter to compensate. Select the Grey cable and connect the BROWN, BLUE and GREEN/YELLOW (Earth) wires to the spade connectors on the METER side of the Pre-Scaler exactly as it is written on the Board. 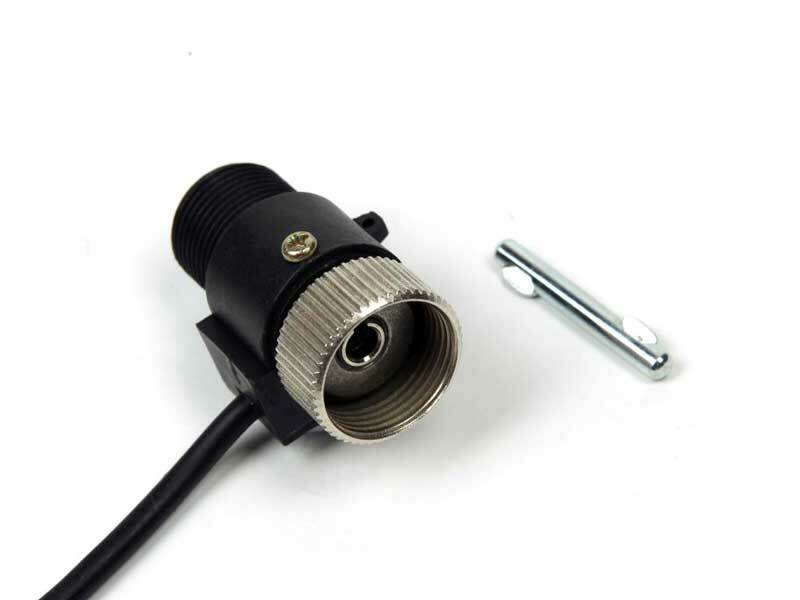 Select the BROWN (positive) wire and connect it to the spade connector on the SENSOR side of the Pre-Scaler labelled BLUE. 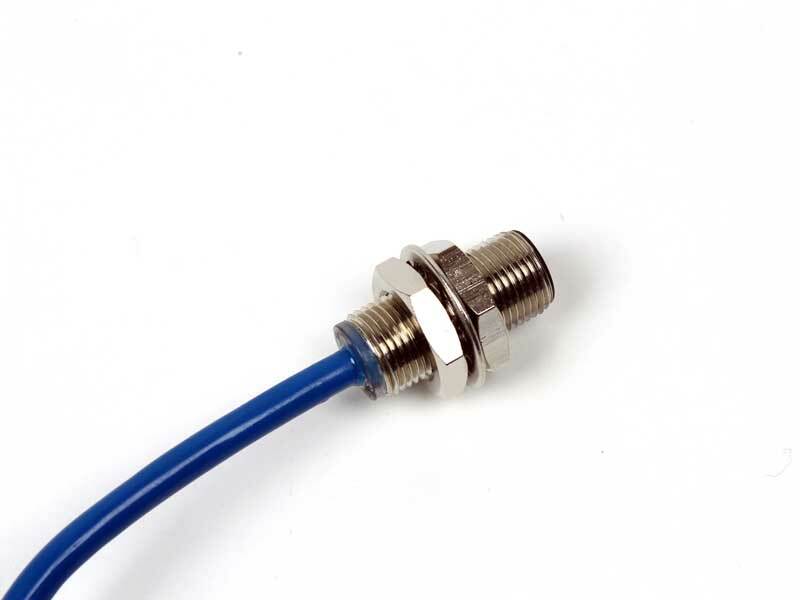 Connect the BLUE wire from the wheel sensor directly to the GREEN spade connector on the SENSOR side of the Pre-scaler. 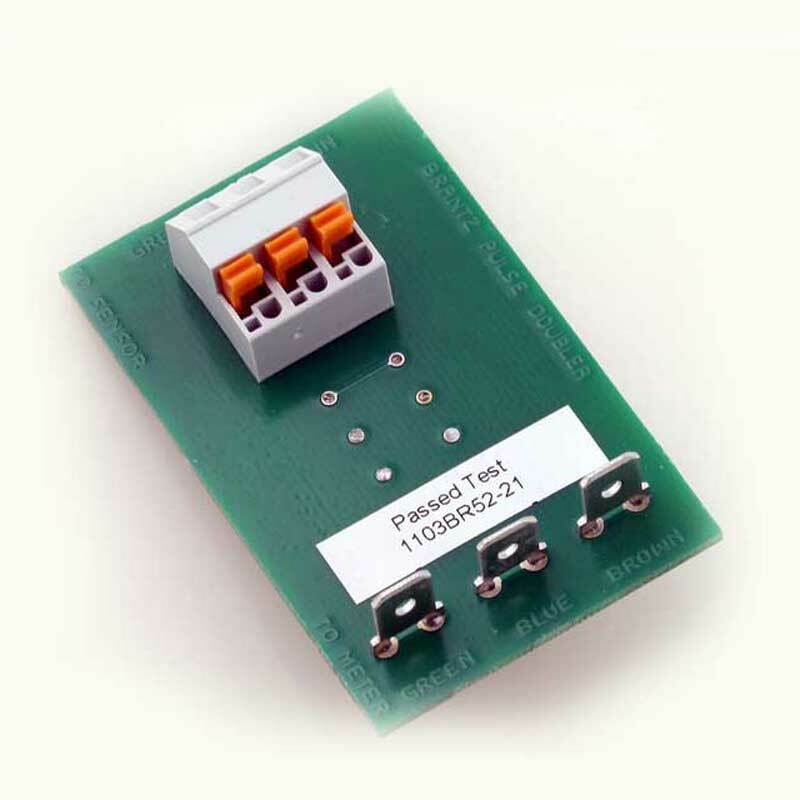 The rotary switch on the interface sets the pre-scale ratio/dividing multiple i.e. 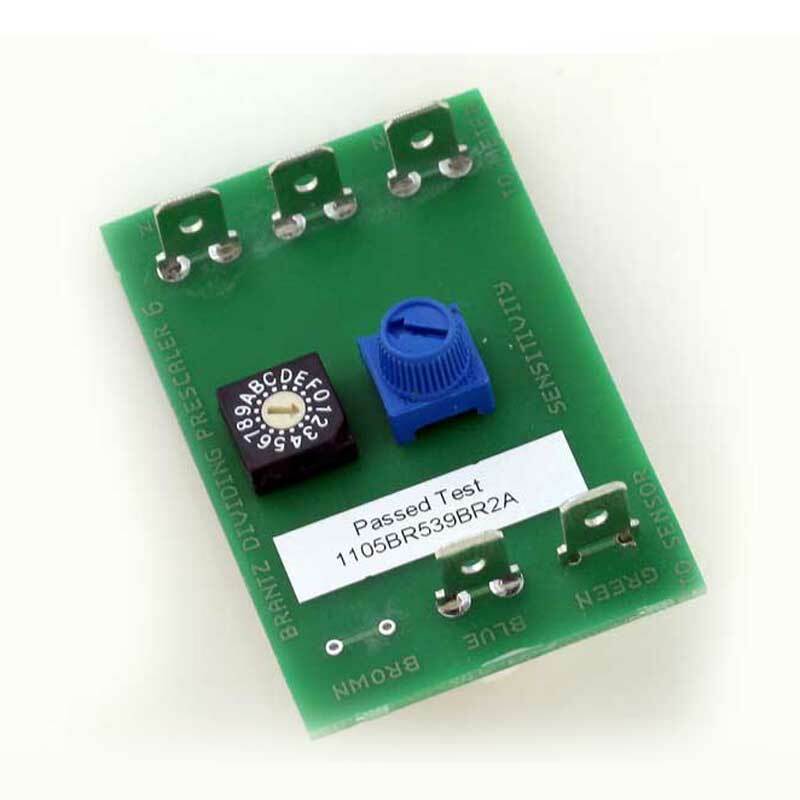 set on 2 it will divide the number of pulses from the vehicle to the Brantz Meter by 2. It should initially be set on 1. 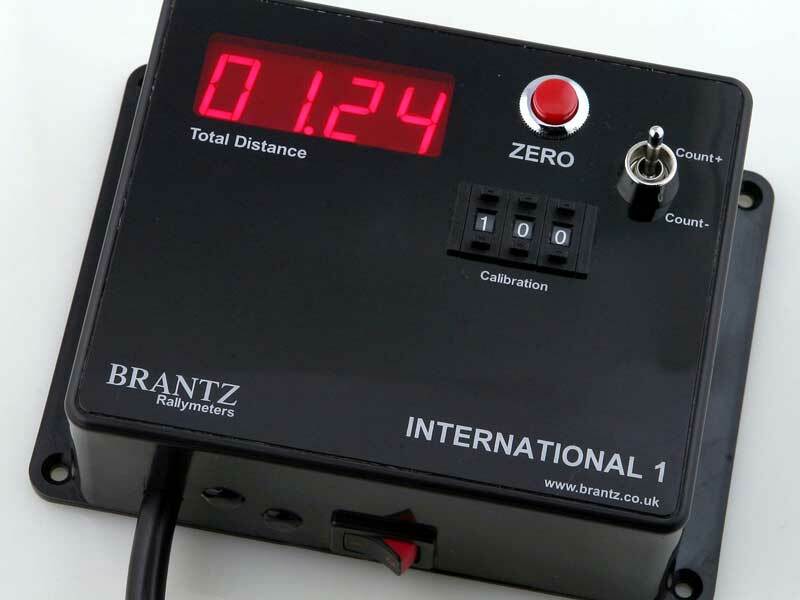 The lower the pre-scale ratio, the more accurate the meter will be, but this facility is provided to compensate for very high pulse rates which would take the Brantz Meter out of its normal calibration range of up to 999 (or 9999 for the Laser 3). If the meter calibration figure is out of range, rotate the arrow (using a very small screwdriver) up to 2 or (rarely) greater, and then re-try the calibration. N.B. The ratio must always be greater than 0. Some models have a rotary SENSITIVITY control, this is normally set to a mid range position, this is with the arrow is pointing at the central right-hand connector. The sensitivity can be adjusted to accommodate different threshold levels of the speed pulse.